I’ve been a little engrossed lately with murder. Let me qualify that, murder and false pretenses. I finished reading Gone Girl by Gillian Flynn. It had me enthralled to the last page. Predictable? Maybe. Nonetheless it was a refreshingly quick and fun read. I’ve also been obsessing over The Serial. MAN OH MAN. If you haven’t been completely consumed by this podcast yet, do yourself a favor and head over here to listen. AND if you have been listening… what’s the deal with Jay ? So, in the spirit of a good murder mystery, I’ve decided to make a truly deceitful but devilishly delicious cocktail. This drink packs a mean punch, but you’d never know it! 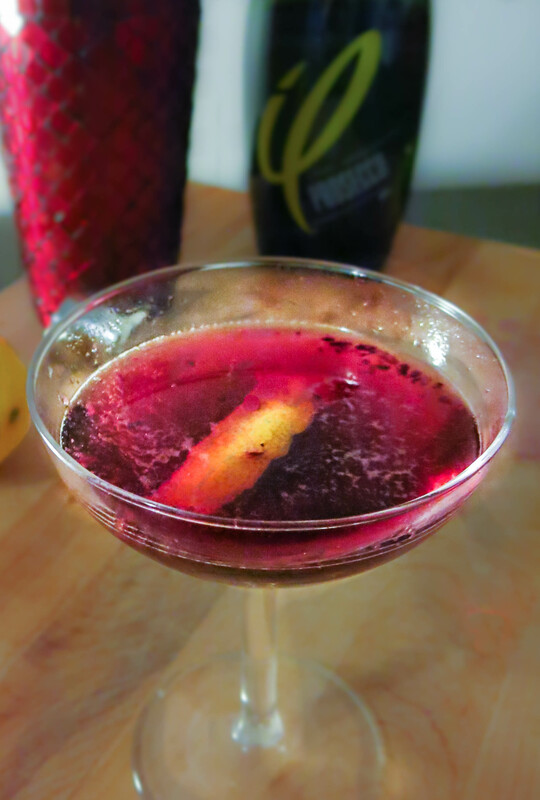 It’s sweet and bubbly, but with enough booze to leave even a professional drinker a wee bit tipsy. She’s a lying, two-faced, charmer of a drink. 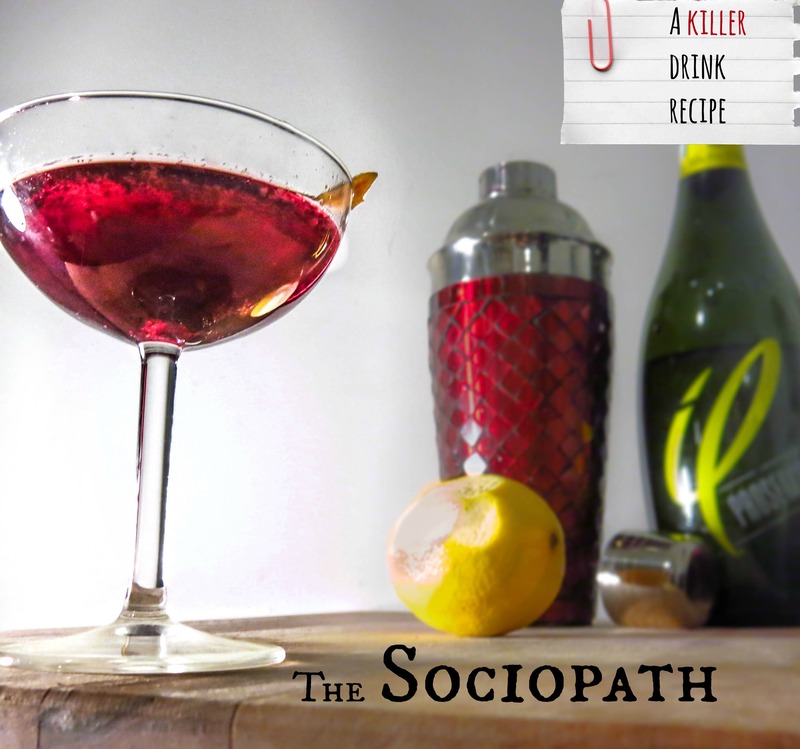 I know I’m probably the last person to have read Gone Girl, but in an attempt to not share any spoilers I’ll leave it at this… this cocktail is the sociopaths of all cocktails. Like a good murder, this drink requires some planning and a bit of devotion. It starts with making bourbon soaked berries, they are the real star in this recipe. Picture grown up maraschino cherries (that are actually blueberries)…. Ensure the blueberries are completely submerged. If they aren’t add a splash more syrup and bourbon. Give the jar a good shake and place it in the fridge to let those berries absorb that bourbon goodness. Let them soak a minimum of 2 days (giving the jar a shake whenever you think about it) and up to a week. 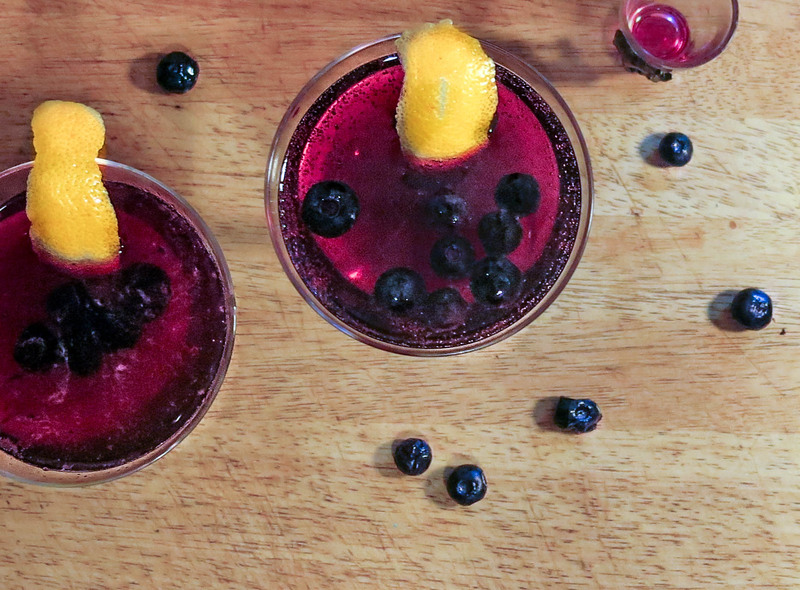 In a Shaker add 2 heaping tbsp of bourbon soaked blueberries, a squeeze of lemon and about 1 oz of the blueberry liquid. Smash the blueberries using a muddler, and if you don’t own one of those use the back of a spoon, wrench, candlestick… whatever you’ve got. Add 2 oz. 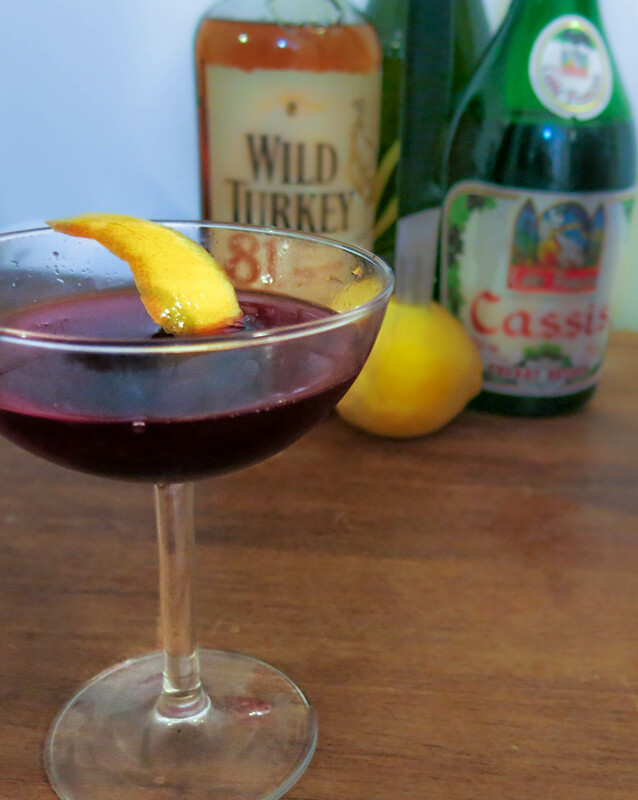 of Cassis liquor. Fill the shaker with ice and shake well. Pour the mixed cocktail evenly into 2 cocktail saucers or flutes. Top with champagne and a lemon peel garnish.